2Toms Blistershield Skin Guard Protection sachets when BlisterShield is applied to the foot it repels moisture keeping skin dry and blister-free for lengthy periods of activity. 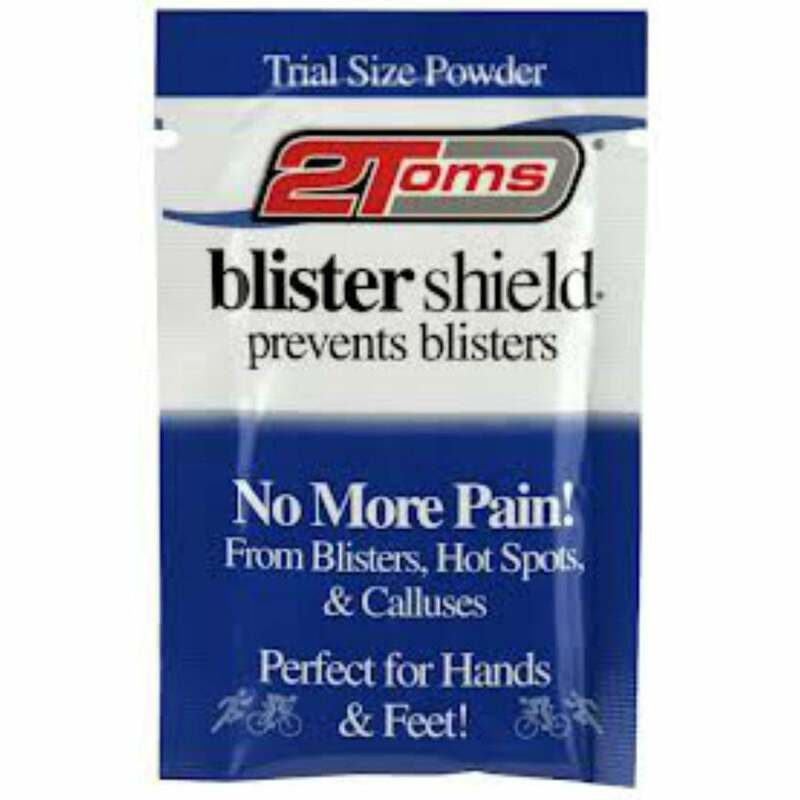 2Toms BlisterShield significantly reduces discomfort and fatigue, resulting in increased performance and a more pleasurable exercise experience for walkers, hikers, runners and ultra-runners. When applied to the foot, this remarkable powder repels moisture keeping skin dry and blister-free for lengthy periods of activity. BlisterShield significantly reduces discomfort and fatigue, resulting in increased performance and a more pleasurable exercise experience. Gently pour half into each sock or shoe, shake and rub to coat the inside and eliminate clumps. Washes off with soap and water. Popular with our customers, this handy size sachet will keep your feet blister free!